We hope you all had a lovely Christmas and have had a few days of food and festive fun – as well as Betty Blue’s Loungerie shaped parcels under the tree! It is alas back to the grindstone for some in the dew days before New Years celebrations. And that includes us at Betty Blue’s. We are back and ready to ship out any parcels you might have ordered over Christmas, if any loved ones didn’t get the hint that you wanted one of our gorgeous outfits. To help you all dazzle at home this New Years Eve we have a very special offer for you. Any purchase of either the Agatha Robe, or the Agatha Nightgown, will include a FREE matching silk Lingerie Bag worth £55. You may have seen this little beauty before? 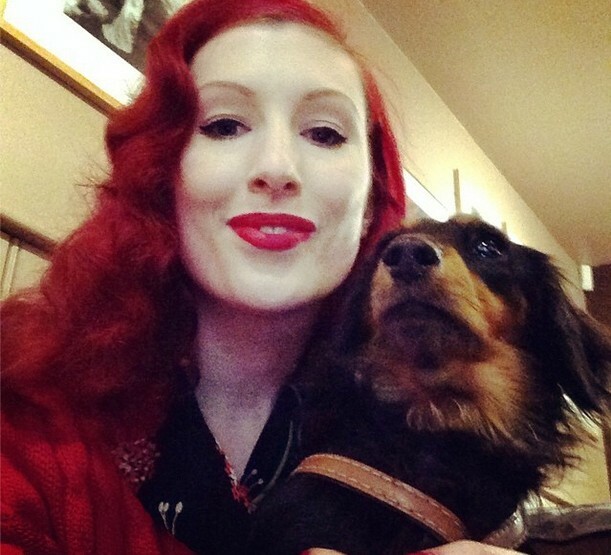 We gifted one to the lovely Stephanie over at Evgenia for her Lingerie Secret Santa. 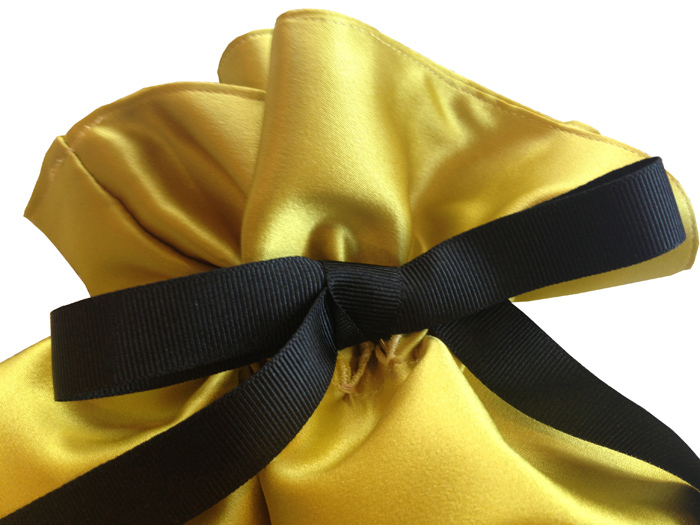 The lingerie bag is a fully lined silk pouch finished with a Petersham ribbon tie. It is made from the same beautifully luxurious silk from the Agatha Collection, perfect for popping the robe and nightgown into and laying elegantly on your pillow. 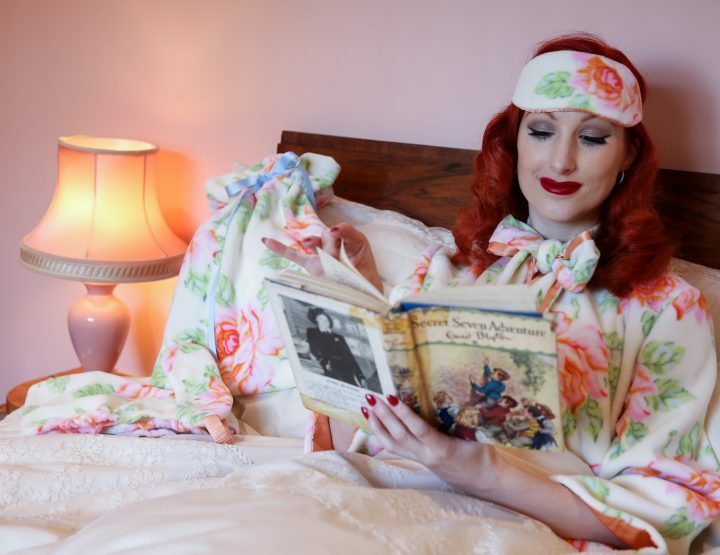 As we stated above, it is yours for absolutely £0 when you buy either the Agatha Robe or the Agatha Nightgown, but hurry! This offer is only available until the 31st December 2015. Speaking of the Lingerie Secret Santa, Betty received her gift just before Christmas. 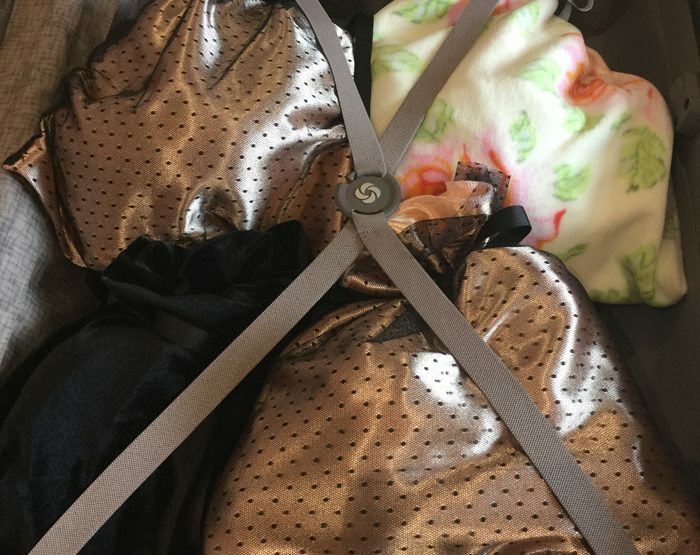 It was from the amazing British Indie lingerie brand, Ell and Cee. Betty was gifted the ‘Forget Me Not Slip’ and ‘Forget Me Not Knicker’, both in Ivory (they are available in Black if that is more your colour). The slip is a stunning full length nightdress in Ivory polka dot mesh with lace cups. Flirty scooped cross over back and side splits making this a subtle seductive piece. Gold crystal detail at the bust for an added touch of glitz and glamour. Just perfect for any glamour puss out there. Why not head to their website and check out more that they have to offer as well as learn all about Laura and her company Ell and Cee!